WOW, Software Filter from Sugar Bytes. sonicsnap's review (This content has been automatically translated from French)" A wha-wha universal"
Installation and Authorization quick and easy. 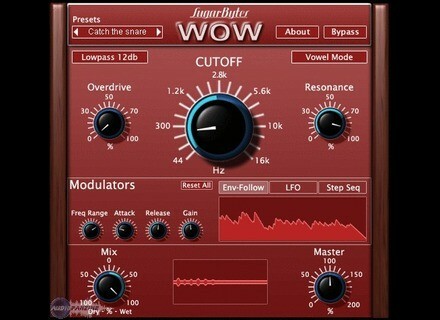 WOW offers almost all possible effects around a resonant filter. The filter has two modes: classic (wha wha effects) or "vowels" that can vary between its "Aaa" and his "Iiii." In both cases, you are entitled to ten filter types: LP, BP, HP (12 or 24dB) plus comb filter, band reject, band crusher, crusher LF. This offers a great range of possibilities. Besides the cut-off and resonance, you are entitled to a little overdrive. 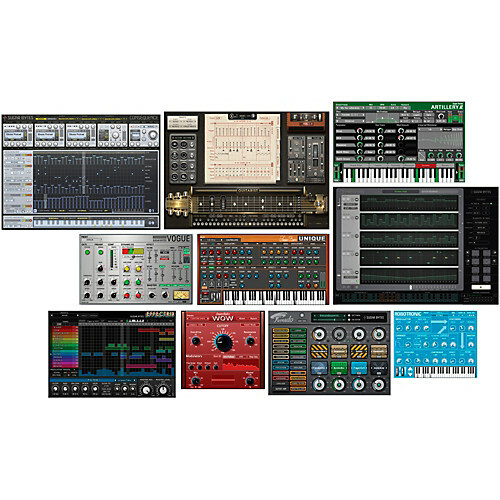 We have three types of modulations "automatic" envelope follower, LFO and step sequencer. But you can also adjust the knob or pedal through twelve o'clock "midi-learn". Note that not only the cut-off, but all the parameters that can be operated the modulators, including specific parameters modulators themselves. We finally have a knob "dry / wet" for the determination of the effect and a master volume. In fact, we can say that this is very comprehensive. Thirty-five presets "factory" come with, which can give ideas but do not turn the opportunities of the beast. No malfunction or compatibility met. The CPU resource consumption is negligible (Mac Pro / Digital Performer). I use this plugin for about three years. It really is the Swiss Army knife of the effect wha wha. Mode "vowel" works fine but I never use it because I do not like this, even if it seems always in fashion. He did nonetheless numerous opportunities for wha wha. Regarding the filter itself, I would not say this is the most breathtaking I've ever heard, but it sounds good and takes its role. The presence of the overdrive can be useful to use. In fact I like the parallel modulate the cutoff. It often gives the "gniaque" in effect. In fact, that absolutely everything is modular can offer interesting perspectives. At random, we can for example enslave the release of the envelope follower and the LFO to change the LFO waveform via the step-sequencer. 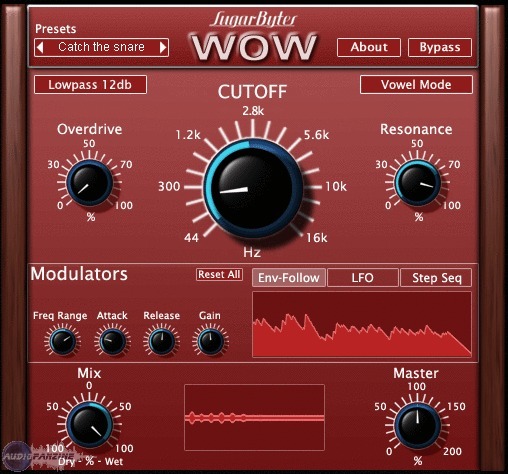 Imagine what you can get on the rhythm guitar or synth pads. In addition, there are types of filters rarely found on wha wha pedal, as the comb filter (comb filter.) Price of this plugin is not "floor" (currently 79 euros) but as I use it quite often for live sound, certainly I would do this choice. 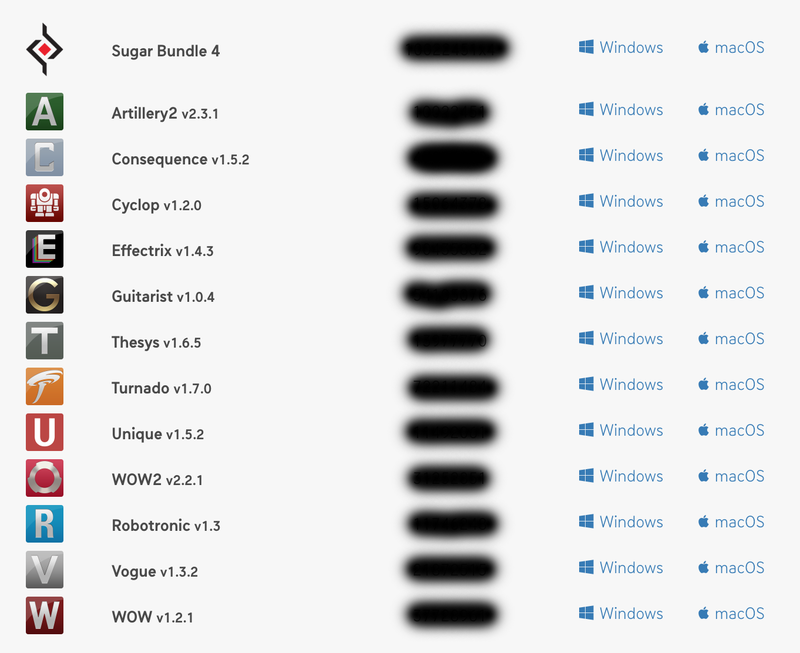 Sugar Bytes has released updates for Artillery, WOW, Vogue and Robotronic, which are now compatible with all 64-bit production environments.